In 1978, Snak King began with two employees. Working in a 1,200-square-foot facility, they made just one product — Pork Rinds. In 1979, Barry Levin, our CEO, became employee number three, right after graduating from college. Back then, his typical workday involved filling the fryers with oil, frying the rinds, boxing up the Pork Rind bags as they came off the line, delivering product to the company’s one and only customer, and then balancing the books at night. After a few years, Barry acquired the company with a single goal — to make sure customers’ needs were fully met by delivering the most consistent, high-quality product. This devotion to customer service and a willingness to say “yes” is what spurred Snak King’s growth. 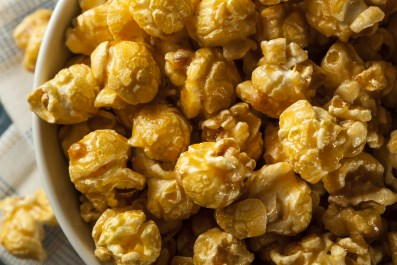 When a company asked if Snak King could make Popcorn for them, the answer was “Yes!” (Even though they had only made Pork Rinds up to that point, Snak King quickly learned to make Popcorn.) The same story repeated itself for Caramel Corn, Cheese Puffs, and then Cheese Curls. The product portfolio grew. With each new snack item, the focus on quality never wavered. From day one to today, the mission has been to listen to our customers and consistently serve their needs. We are a reliable brand with a commitment to customer satisfaction and excellence. Through this devotion, we have been able to build a portfolio of both private label and branded snack products across all industry categories. We are honored to be known as a company that has maintained a nimble, entrepreneurial spirit from our founding, even as we’ve grown from 1,200 square feet to over 700,000 square feet. We now produce snacks for customers nationally and internationally. And behind all this growth? Our people. We are proud to have team members today that have been with us from the very beginning. Snack Food & Wholesale Bakery names Snak King "The Comeback King, 2008 Executives of The Year"
Barry Levin, CEO of Snak King, is awarded California State Small Business Administration’s Person of the Year.